1976 Boles-Aero Travel Trailer Exhibit "A"
NOTE: I do not know the exact model and length of this unit. If you do know it, please send it to me at fred@viewrvs.com and I will update the page. 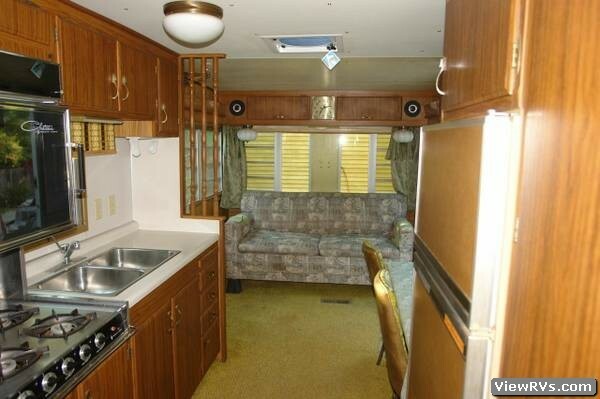 Vintage Trailer, Rear Bedroom, Ready to use Now! Totally self Contained Rear Bedroom unit. Roof just professionally sealed and a new Fantastic Vent Fan installed. Plumbing updated and refurbished. 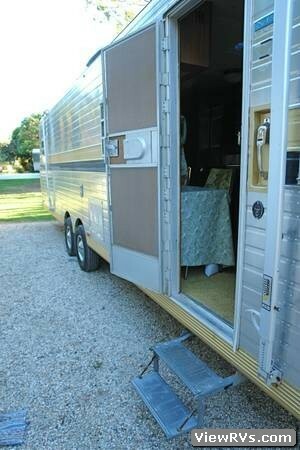 This trailer is being detailed and restored however it is in exceptional original and usable condition as is. This era Boles Aero is particularly well built with similar Aircraft construction techniques as Airstream, Spartan and Silver Streak. 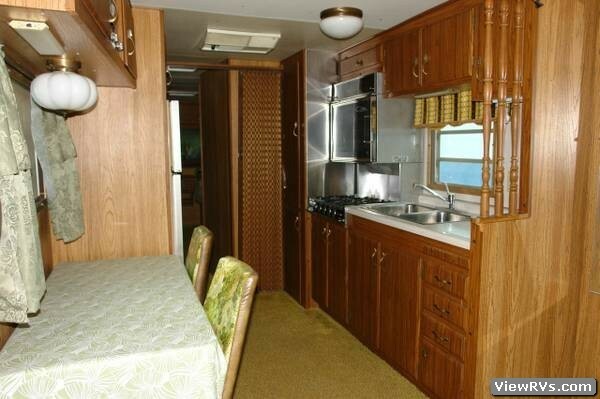 It is over built in comparison and considerably nicer than the equivalent Airstream from the same era. The construction of the cabinets and even the Frame is a few steps above. 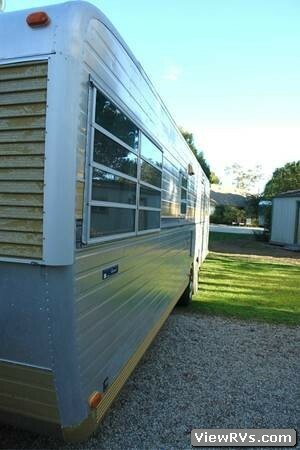 Great size Trailer to use as a Guest House with its rear bedroom it could make a great rental. 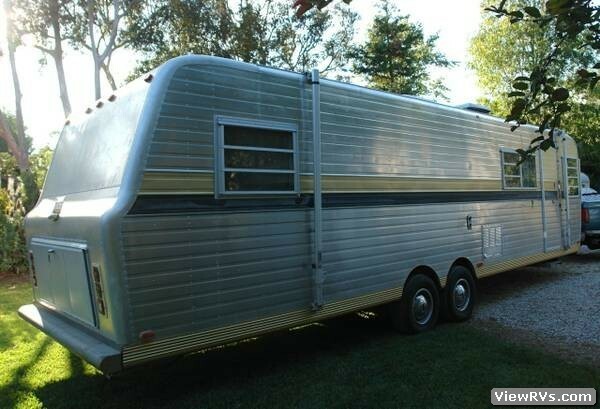 And its not too big to go camping in. 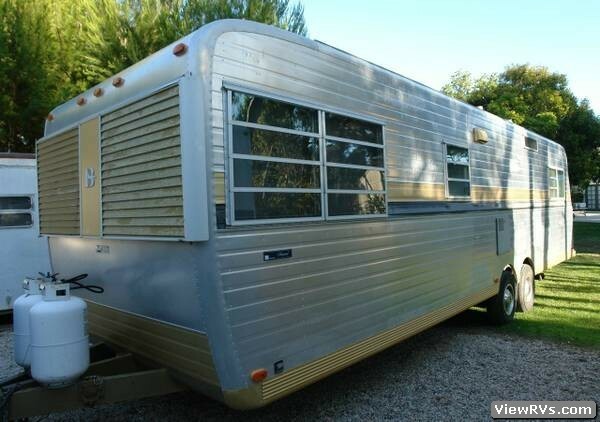 In my 20 years of collecting and restoring Vintage Trailers it is rare to find one in this kind or original, complete and unmolested condition. Everything is there and looks like it did in 1976. This trailer was never abused and was stored under cover from much of its life. Exterior is virtually dent free. Windows are in like new condition and operate perfectly. It has a working Electric Tongue Jack, good Stabilizing Jacks all around. Two 10 gallon propane tanks with updated fittings and regulator. Forced Air Central Heat. Large Air conditioner works perfectly. 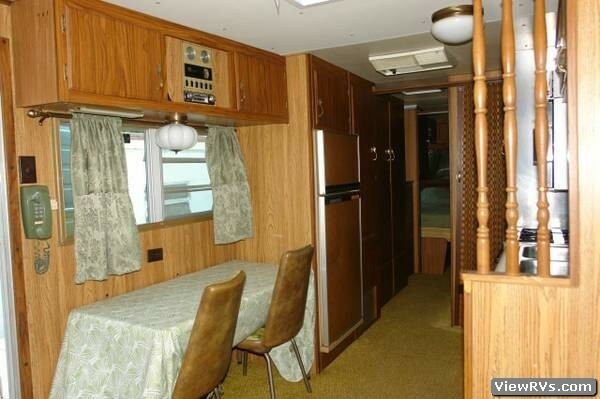 Stove and Refrigerator are in excellent cosmetic and working condition. Nice large Bathroom with Tub/Shower. 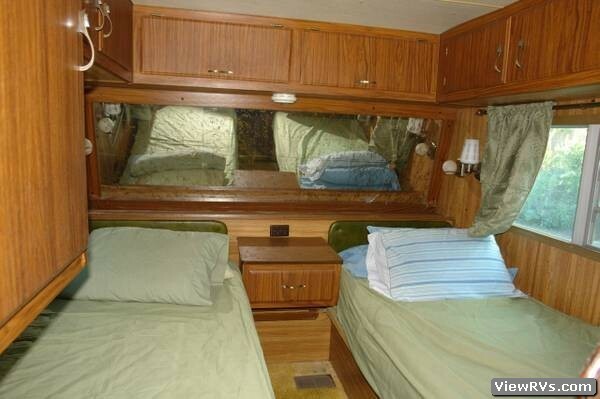 Rear Twins could be reconfigured for a queen bed. Recently tested all systems and everything is in great working condition.